For the past 150 years, shortsighted individuals and industries have viewed our stream only in terms of the monetary value of its coal supply. Today, most of the coal deposits have effectively been mined out, leaving hundreds of abandoned coal mines. These abandoned mines are responsible for much of the degradation of the creek and its tributaries. 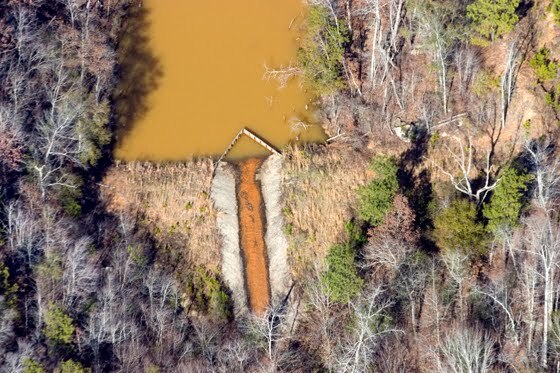 The recent history of Hurricane Creek involves the Surface Mining Control and Reclamation Act of 1977. Prior to this act, mining companies would enter a site, mine the coal, and leave the area in ruins. At Hurricane Creek, large quantities of underground sulfur were exposed during the mining process. These sulfur deposits began leaching into tributary creeks and then into Hurricane Creek itself. After the last pre-control and reclamation act mine in the area was closed, the sulfur in the creeks became sulfuric acid. Acidic water dissolves metals; in this case the primary metals are iron, manganese, aluminum, and pyrite. A lot of leaching has already taken place, but much more could occur. Such pollution is typical due to the extensive and long-term coal mining done in the watershed, but the acidity levels in our creek make this an extreme case. We still receive water from underground mines nearby. This water, which is used in the slurry and preparation process of coal mining, contains all or most of the impurities as well as the chemicals used to clean the coal. At its final discharge point, it has a pH of 8.5 and carries with it massive amounts of iron and other heavy metals. A permit issued by ADEM allows this discharge. “Site specific waivers were issued to [the company] to discharge into Hurricane Creek water with a pH value of 3 to 4 and iron up to 30 p/pml. Then at the same site, a permit was issued for a discharge of water with a pH value of 8.5. 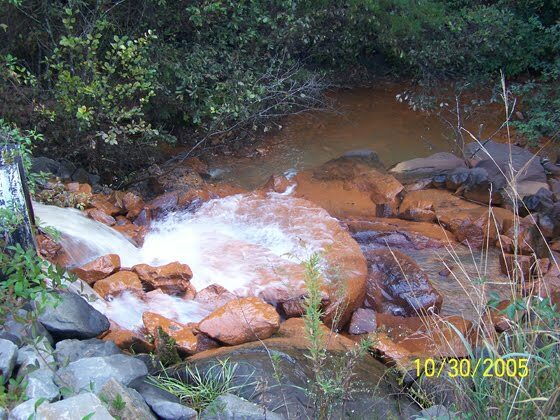 This causes fallout of all iron in solution for several miles downstream turning the entire creek red with Iron bacteria” (from EPA triennial hearing comments by JLW). One of the challenges involving mining is that taxpayers often are forced to fund the cleanup costs. How can we mine in a way that respects our local ecosystems without polluting the water that keeps us alive? What do you think? To mine or not to mine? Or maybe to mine in a more eco-minded manner? How can we help our local industries mine in a way that benefits the community in the long-range? What effect do these practices have on local wildife?